Karongwe Game Reserve is a 9000 hectare wildlife paradise straddled between four rivers and is located just 45 minutes from the world famous Kruger National Park. Karongwe Game Reserve teems with an abundance of game, birdlife and diverse dense vegetation. The game drive and walk experience in the Karongwe Reserve is a modern-day journey into the past when this expanse of pristine bushveld knew nothing else but a rich profusion of diverse game and virgin vegetation. Karongwe Camp is on the banks of the Karongwe River in Karongwe Game Reserve. Three tributaries of the Olifants River flow through the reserve, carving their way through the bedrock and dividing the reserve. The vegetation falls within the savannah biome of Southern Africa with distinct vegetation zones being represented – mixed Lowveld and Mopane bushveld along with grass savannah, riverine vegetation and rocky outcrops. Karongwe has undulating hills and valleys and broad-leafed woodland, over 60 mammal species and an abundant bird life. This makes for an extraordinary immersive learning experience. Karongwe Camp is on the banks of the Karongwe River in Karongwe Game Reserve. Three tributaries of the Olifants River flow through the reserve, carving their way through the bedrock and dividing the reserve. The vegetation falls within the savannah biome of Southern Africa with distinct vegetation zones being represented – mixed Lowveld and Mopane bushveld along with grass savannah, riverine vegetation and rocky outcrops. Karongwe has undulating hills and valleys and broad-leafed woodland, over 60 mammal species and an abundant bird life. This makes for an extraordinary immersive learning experience. 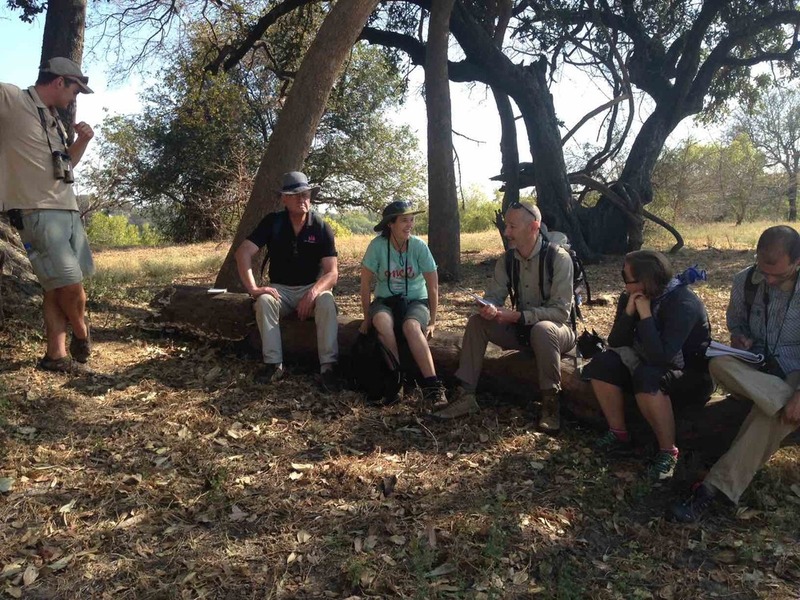 This is a really special camp as it’s where field guides and game rangers are trained. It’s set up for a true experience of the wilds of Africa. Karongwe has undulating hills and valleys and broad-leafed woodland, over 60 mammal species and an abundant bird life. This makes for an extraordinary immersive learning experience. Game is plentiful including elephant, rhino, lion, leopard, buffalo, wild dog, cheetah, spotted and brown hyena, giraffe, zebra, wildebeest, kudu, bushbuck, steenbok, duiker, impala, waterbuck, blackbacked and sidestriped jackal, honey badger, baboon, vervet monkey, mongoose, warthog, bushpig, tortoise; special nocturnal creatures are porcupine, aardvark, civet, genet, caracal, serval and spring hare. Sightings of the all the cats – lion, leopard and cheetah – as well as elephant and white rhino is an almost daily occurrence. With an unfenced camp, nightly visits from other species, like hyena, is also not out of the ordinary. 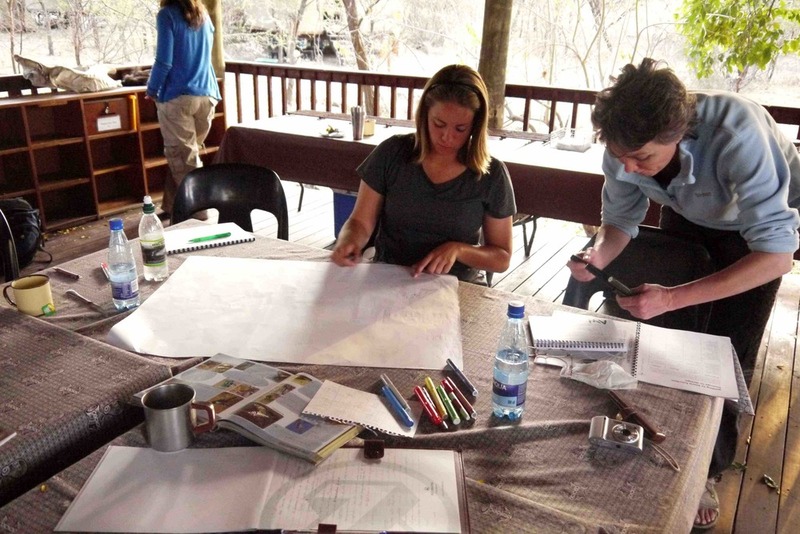 This is a really special camp as it’s where field guides and game rangers are trained. It’s set up for a true experience of the wilds of Africa. Explore the genius of the African bushveld through guided experiences and deep observation activities: including bushveld walks, day and night game drives and viewing from the unfenced camp. The camp consists of 10 walk-in style Meru tents, with twin beds (participants share tents) and supplied bedding (a duvet and 1 pillow); although you might want to bring an extra blanket for the winter months and an additional pillow should you require. There are also shared ablution facilities and a central communal area. There are mosquito nets in camp (available on request). There are viewing decks in the central area of the camp, and many guests choose to make the viewing decks their “bedroom” for part of or for the duration of the course. The camp itself is unfenced. The communal area is made up of four tall thatch-roofed open-sided decks which forms a square that encloses an open campfire area. One of the deck structures serves as the open air dining area, lecture room and study area. Two decks remain open to welcome the adventurous who want to spend their nights as close to nature as possible. 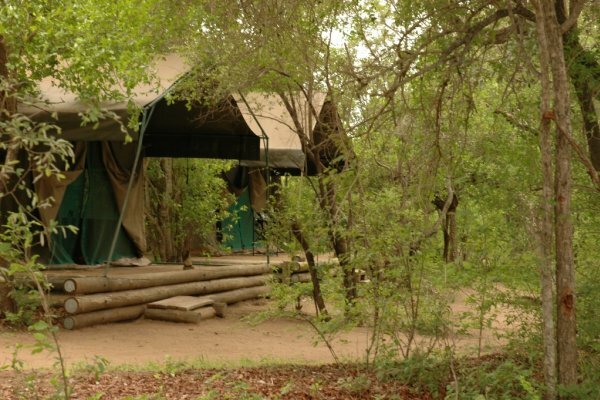 The camp is ideal for game walks and the game viewing vehicles include open top Land Rovers and Land Cruisers. Electricity is only available by generator at the camps. The generator is for camp use however participants may utilise it when it is running for camp purposes to charge camera batteries and cell phones. Paraffin lamps are used for all lighting and the kitchen/ geysers are powered by gas/ solar energy. The kitchen is equipped with gas fridges for storage of all perishable food items, thus unfortunately there’s no space for personal items (drinks, water or other). Fresh, drinkable water is available from the taps. Bottled water is available for purchase.There is however a full selection of affordable drinks available at each camp. Cost: International Guests US$ 1750, Local Guests (South African) R17500. Questions about the expedition, nature’s genius and/or biomimicry: email connect(at)imaginature.co or fill out our online form here. *Does not include: travel to Karongwe, travel & medical insurance, items of a personal nature, additional beverages. Fly to Eastgate Airport in Hoedspruit on SA Express - book on www.flysaa.co.za. * The camp is in a malaria area. We will be there during winter months, but please consult your doctor as to what precautions to take.